After years of lobbying by the nautical industry the European Commission has finally spoken out about the controversial Spanish Matriculation Tax (ISDMT). The commission deemed the taxation of charter vessels from other EU countries to be unlawful as it infringes on the principle of freedom of provision of services laid down by the EU Court of Justice and the imposition of the tax means that Spain has failed in its obligations as an EU member. Whilst this may seem like an end to the exploitative tax in reality the Spanish government have ample time to contest the decision, indeed they have already signalled that they intend to do so. The Spanish government have already responded giving their justification for the tax and are awaiting the Commissions response. Hope for the sailing community in Spain lies with the fact that the opposition to the tax in the EU parliament was led by Rosa Estaras MEP a member for the current opposition to the Spanish government the Partido Popular. This centre right party is currently well ahead in the polls for the Spanish election due to be held in November 2011. Estaras said of the news “[It] prevents the development of charter yacht activity in Spain and means they are not on an equal footing with the rest of the EU. [it also] violates the principles of freedom of movement of persons and freedom to provide services to maritime transport. 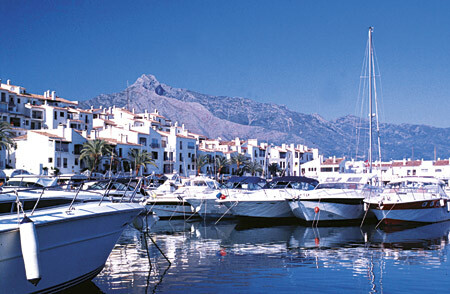 Industry sources estimated that the tax costs Spanish ports over €10 million per weekend in high season as yachts prefer neighbouring tax-free ports such as Gibraltar from which to operate.